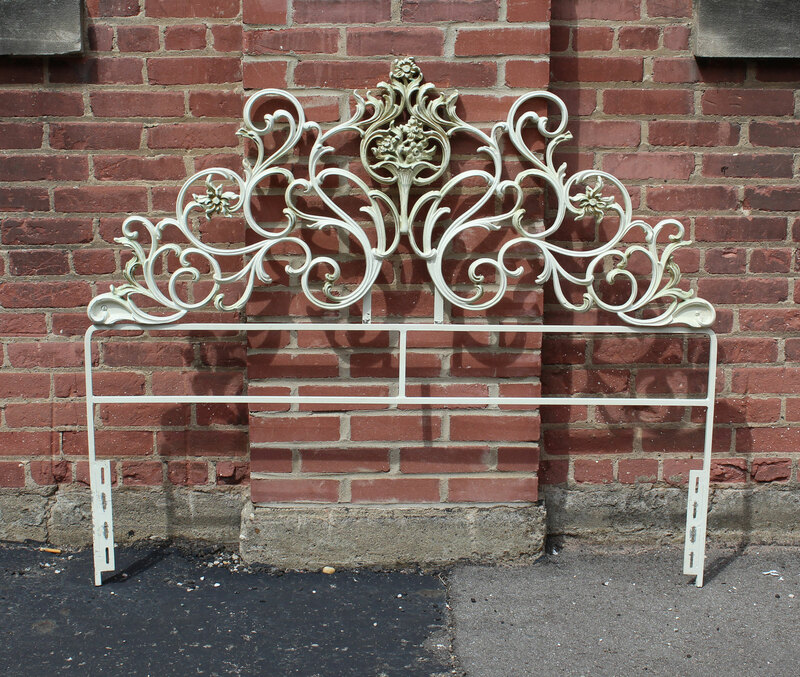 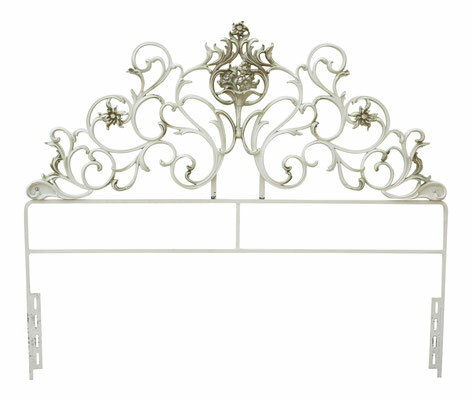 Elegant wrought iron headboard in an off white subtly detailed with light sage green. 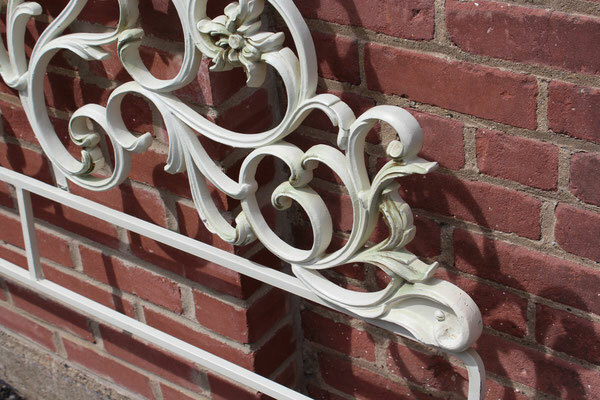 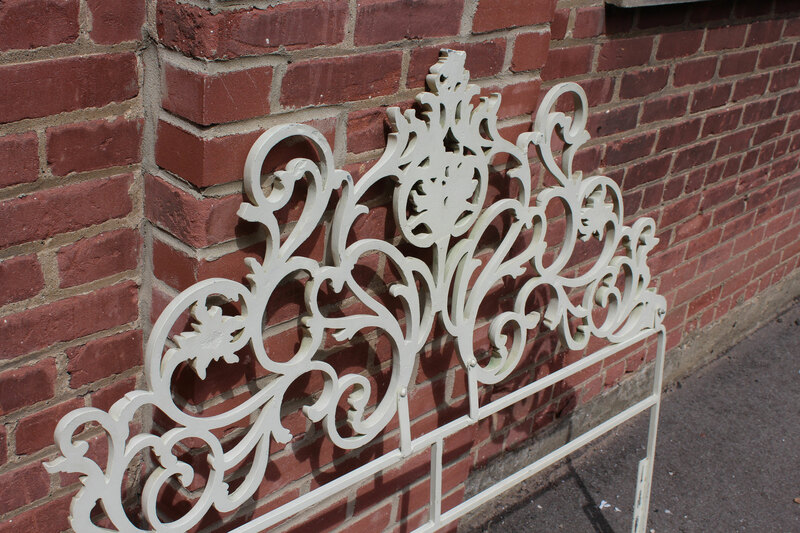 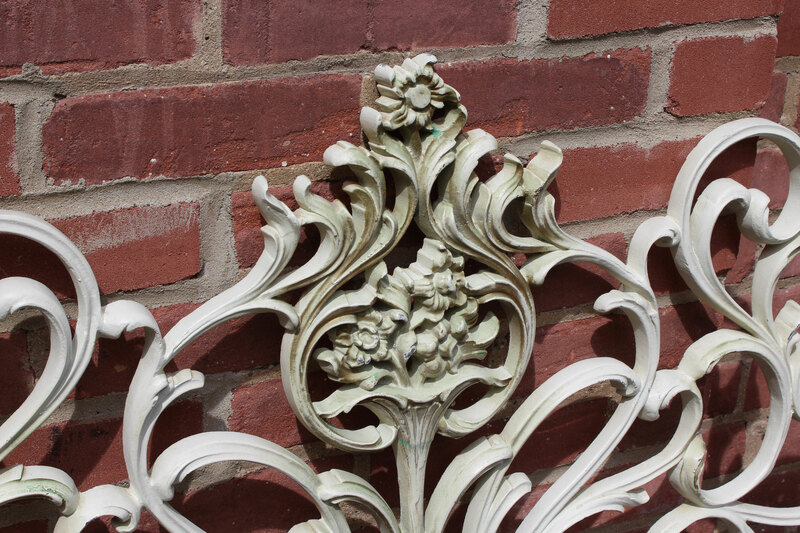 Classic traditional design in substantial wrought iron. CONDITION NOTES: Some marks and chips to the finish. 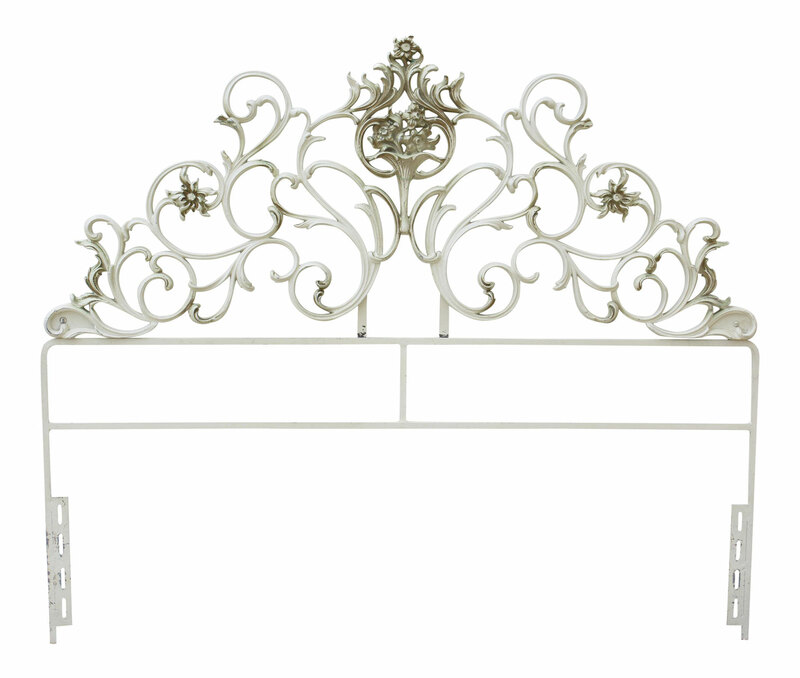 DIMENSIONS: 54" W; Measures x" high from the floor to the bottom of the headboard panel.